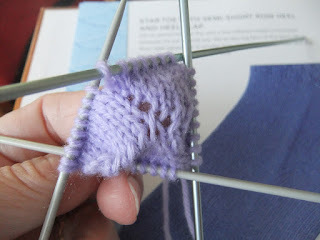 I enjoyed knitting from book 1, knitting from the cuff down and had thought that "toes up" would be easier, especially with getting a good fit...not my experience so far though!I started this book review some weeks ago but couldn't understand the "star toe" pattern I was attempting. I'd hoped for a response to my request for clarification from the company, but none so far. I'm pretty sure this row of holes wasn't intended though! These socks are knitted on sets of double pointed needles, which is what I work with most days so that's not a problem for me. However, the casting-on methods needed to allow knitting from both sides of the toe are horrible, very fiddly and not to my liking at all! 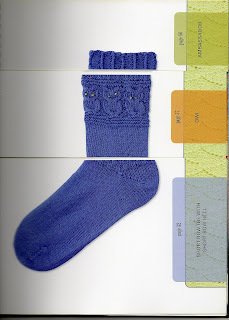 As in the previous book, I like the flip-chart layout so that I could choose which toe style to go with which cuff. 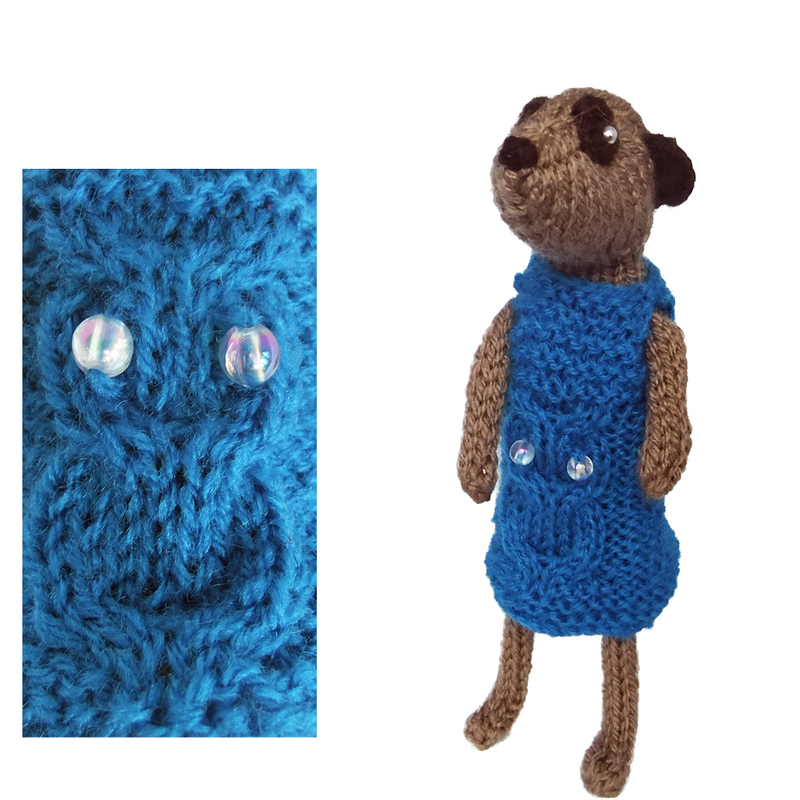 I was very pleased to see the owl design made so popular by Kate Davies and in fact I tried that out straight away...as a meerkat designer dress! The socks proved more problematic though. I couldn't get the "star toe" to work, so next tried the "origami" toe. It requires a provisional cast on which isn't detailed in the book so I needed to turn to youtube to find a tutorial. I realise the book couldn't explain every possible cast-on method, but I wasn't expecting to need the net before I even started knitting! I came a cropper with the shaping, using "sskwsl" which the book explains as "slip the next stitch knitwise; insert the needle point into the loop at the base of the next stitch. Knit the slipped stitch and the loop together through the back loops". Back to the book...and now I'm trying the short row toe. Seems to be working so far, I like using short rows for shaping so hopefully I've now found a pattern that I can get on with! I shall report progress as and when - I'm using Sirdar Snuggly 4 ply in a lovely lavender shade, supplied by MinervaCrafts for the purposes of this review. 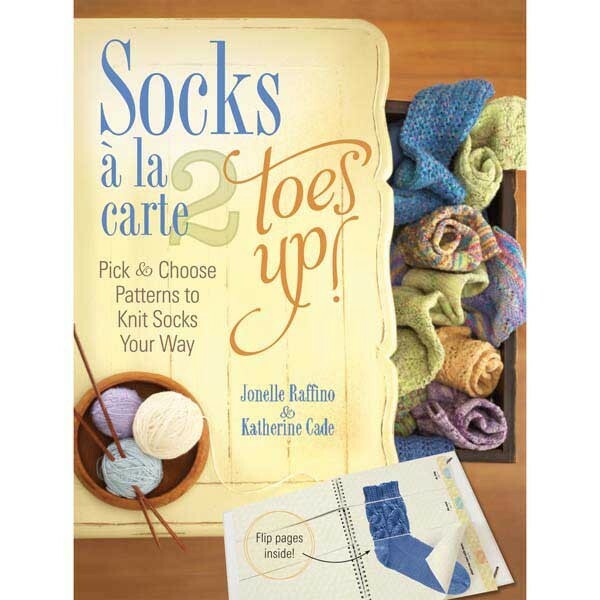 Socks a la carte 2 was also supplied free of charge for the review. Hopefully now that I've found a starting point I can cope with I shall get on better with the remainder of the sock and its pair! I found your blog looking for a better explaination of the sskWSL - i really don't understand where I should be inserting the needle... it sounds like I am supposed to slip as if to knit the first stitch then insert needle right to left, wrap the yarn and pull thru both stitches. Was that your understanding too? I would love any insight you can provide. Thanks!